It’s nerve-wrecking and mind-blowing indeed, but as you are invited to deliver a public speech there can be no coming back. Instead of being frustrated, however, you can just take your time and enjoy the opportunity to have an impact on your audience, using them as your golden opportunity to share valuable ideas and insights. This guide on how to make a good speech is here to help you make it, not break it. This is probably why you’re reading this. 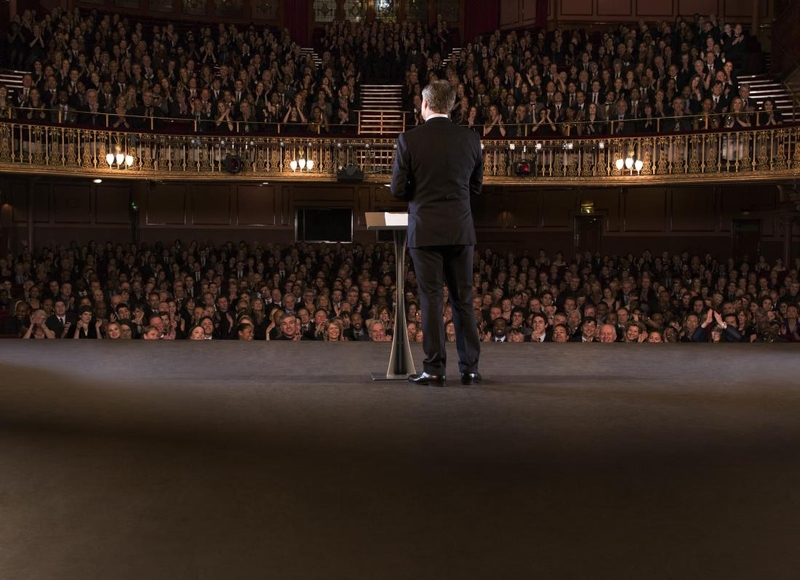 In making a great public speech, rely as much as possible on the experience of masters who were (or are) known for their brilliant public speaking talents. Read their testaments, delve into the theory of organizing a speech and the ways to engage your audience, and get prepared with real-life knowledge that you wouldn’t be able to come up with yourself until you hit the stage. It may sound blunt, but every public speech and an expertly written piece should contain a clear introduction where you put forward a hint to your subject and arguments, a body where you make your main point, and a conclusion with a neat summary of your speech. The conclusion comes as a suitable part to make your audience really emotional about the subject of your speech, so go for it! One of the most frustrating things in learning how to make a good speech is to hook your audience right at the start. Get yourself comfortable with the fact that the majority of these people will be completely strange both to you and your topic, so you should strike their empathy during the first minutes. Humor and examples from the real life are perfect to draw your audience’s attention in the very beginning. No one is going to listen to some general knowledge. What they want is a fresh perspective, confessions of an insider, a survivor of a shattering experience. If you can’t give them these, you should probably consider quitting. So in order to make your speech closer to everyone in the pit, relate to their concerns and get some strong factual evidence onboard if you want to sustain their attention. And for you to satisfy their demands (and believe me, they are fed up with rubbish!) you should conduct some sort of a market research to learn who your audience is. Knowing their occupations, age, aspirations, and reasons to attend your speech would all be helpful in tailoring your appearance just to the point. This is what can be truly critical in learning how to make a good speech that speaks directly to the ones for whom it was created. Forget reading from your notes and don’t behave as if you are a corporation-engaged robot that was made to give a speech just to tick a box. If you take the floor, be ready to confirm that you deserve it. For this, you should construct your appearance so that people could relate both to you and your subject. Don’t be monotonous and give them a darn show. Ultimately, even if you stumble it will all be easily forgiven if they do like you. So make them like you. Even if you are some sort of a laggard, you can make an exception and use digital technologies for a slicker presentation. There’s nothing bad about fumbling with PowerPoint slides to support your ideas with catchy images and highlighted theses. Just make sure that the space where you are about to present is equipped with everything you need. The next step would be to train using the tech stuff to get it right even when you are nervous. So practice! There is probably no other way to kill your speech than running through dozens of rehearsal rounds just to memorize everything. Whatever your presentation technique, make sure to allow yourself some room for improvisation. What if someone asks you a question? What if a bird flies across the room and distracts your attention for good? Stick to the main point and develop your ideas freely around them. Just like stand-up comedies, you know. We are not born experienced public speakers, but there is still something we can do. And this is practice! For you to have enough time to get thoroughly prepared, you should figure out your speech at least a week before the day, otherwise you will have to cram everything together at the last minute. And this is a recipe for panicking, right? So get your speech ready in time and go through it at least once if you really set out on learning how to make a good speech. Until you hit the stage to present in front of a real audience, you can easily assemble your friends and relatives (someone who will be frank in their judgments) and deliver your speech to them. This will create a particular test drive effect so that you will be able to evaluate your strong and weak points as well as your prospective audience’s reactions to your stances. It’s true that you will make an impression even before you open your mouth. Just imagine that for a particular amount of times (and usually it’s longer than 10 minutes), you will be intensely stared at, with all the flaws in your clothes and body language shamelessly exposed. So take care of your look on the very day, keep your appearance up to the occasion, avoid clinking annoying accessories and contain yourself when presenting. When ending your speech, don’t let embarrassment hang in the air. As you make your audience spend their time on you, you should care about the outcome of this entire endeavor and leave them with something that they could truly think of. As another option, you can just bring up relevant emotions and help your listeners go through some sort of catharsis with you, if your topic allows. Server responsed at: 04/23/2019 4:29 a.m.